I ended up absolutely falling in LOVE with making flavored popcorn. Popcorn is a healthy snack and cheap to buy. The initial intimidation within me of flavoring popcorn soon dissipated upon discovering how easy it really is! Minimal ingredients are required. 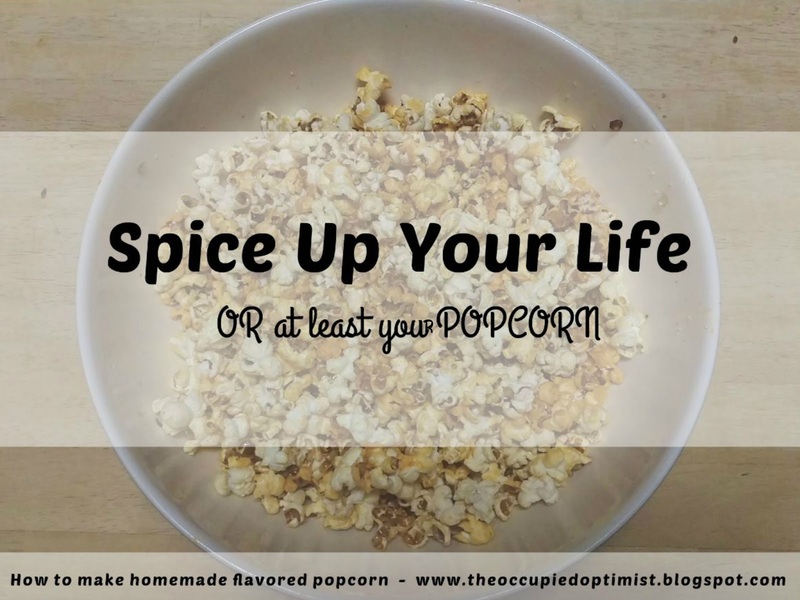 All that you use to flavor popcorn are any spices, seasonings, and/or condiments that you have on hand! You can experiment to test what goes good with what. The flavoring possibilities are endless! It would be difficult to mess this one up! Not only was flavoring the popcorn easy, but also SO tasty! I found some pretty creative recipes online. I decided to make two recipes from http://www.foodnetwork.com/recipes/articles/50-flavored-popcorn-recipes.page-1.html for our co-worker. There were so many to choose from, but the Sriracha-Lime and Barbeque flavoring recipes that I chose to make were such a hit among my friends! You have to try them! 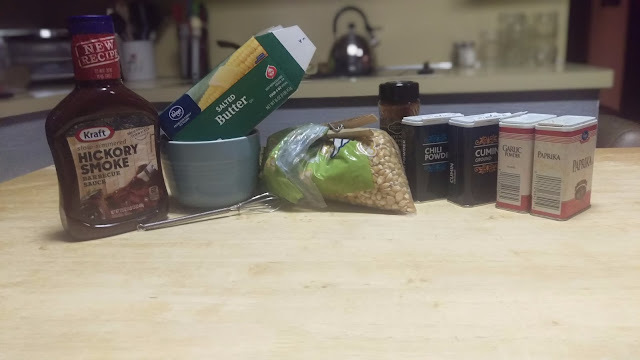 Whisk all the ingredients together (aside from the popcorn itself). 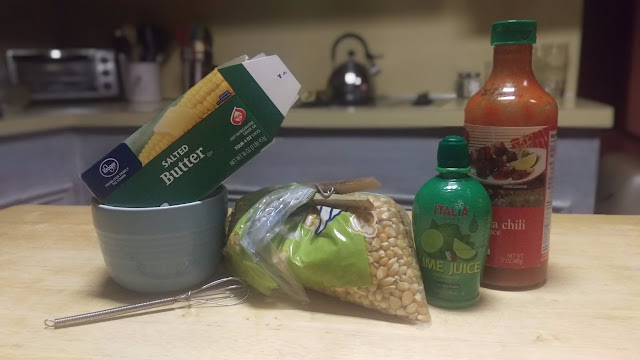 drizzle your mixture over your popcorn while still warm. Toss well. Season with salt if desired. Whisk all the ingredients together (aside from the popcorn itself and the barbeque chips). 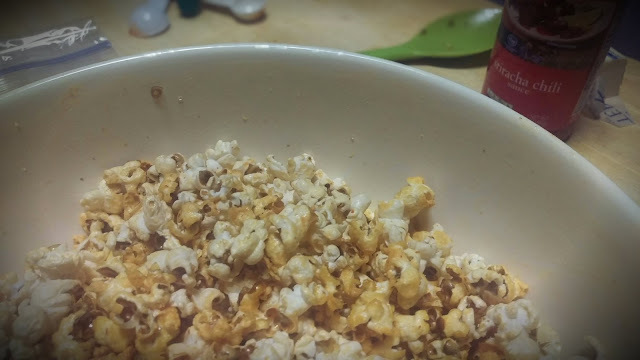 drizzle your mixture over your popcorn while still warm. Add optional chips. Toss well. Season with salt if desired.